This messenger bag is made from 16 oz. 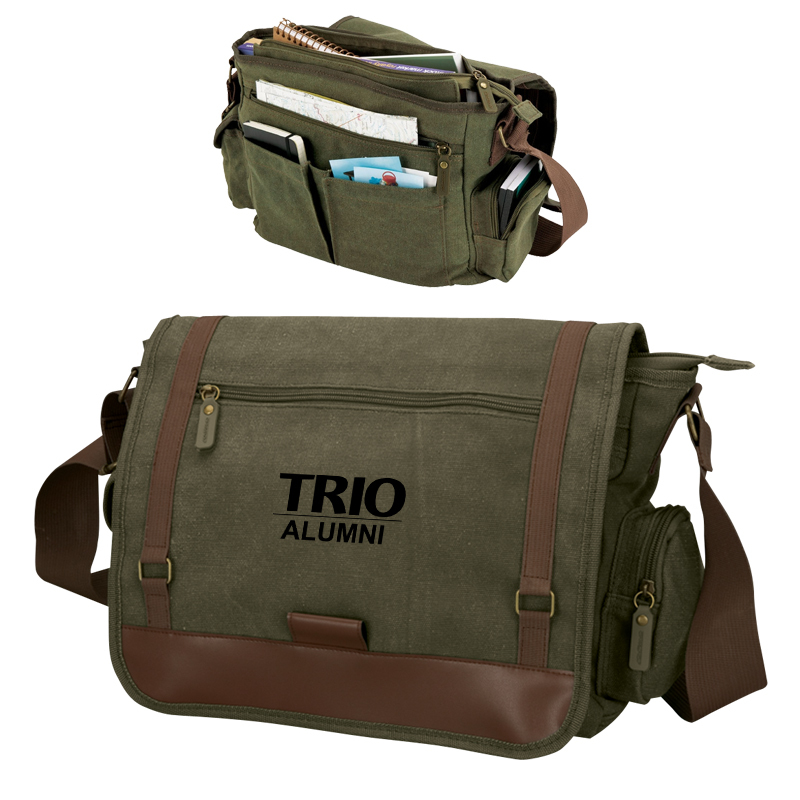 cotton canvas and features leatherette accents, a zippered pocket on the front flap, two side pockets with both hook and loop and zip closures for accessories. There are a zippered pocket under flap, large main zippered compartment with accessory pocket and zip pocket, and a backside pocket. Proforma can run with any stock or custom TRIO imprint,.